I don’t usually get political with my blog but this issue of Higher Education in Quebec is too important to sit back passively. The Provincial Government of Quebec is imposing budget cuts to Universities, and the manner in which these cuts are being imposed is irresponsible, disrespectful, and the demands are untenable. As is discussed by my Principal in her letter to the McGill community, Universities are expected to cut budgets before the end of this fiscal year (an unprecedented challenge), and this was only brought forward in December. No institution in its right mind would change the course of budgets mid-way through a fiscal year. This makes me angry and frustrated because the cuts will affect people and will affect the ways we do our jobs. They will affect livelihoods, morale, and they will affect services to students. Universities in Quebec will struggle with recruitment of students and professors, and struggle with retention. These budget cuts will have wide-ranging and long-term consequence for Higher Education in Quebec. Why care about Higher Education? Caveats: this list is not exhaustive, and it is certainly not complete. These are my opinions, and I do not have expertise with all of the points I have raised – rather, they are my observations, ideas and are based upon my experience working at McGill for over 10 years. Please share, add to the ideas, and comment. 1. Creating Leaders: My institution is helping in the process of educating creative thinkers, good communicators, and global citizens. Our society need people with these characteristics as we move towards a difficult and uncertain future – a future with wide ranging environmental problems; a future with strife and conflict; a future with much economic uncertainty. We need young people to become leaders, and regardless of their discipline (biology, economics, physics, etc) the individuals coming out of my institution will become these leaders. We cannot turn our back on our students – we have a responsibility to continue to create and support a positive environment of higher education that will help train the the decision-makers of the future. At our doorstep are complex problems that need individuals with creativity, curiosity, imagination and motivation – the sorts of characteristics that I see in the students in my lectures and in the students in my laboratory. 2. Creating Communities: I work at a small campus that has a broad reach. Some examples: we have an Apiculture association that is developing workshops about beekeeping – an art and a science that we must understand and foster as we recognize the value of pollination for the food we eat. We have a working farm – a farm that invites school kids from the local area in to see the process of farming: work that is often rural and less accessible to people living in cities. Professors in my Faculty give seminars about their work and invite anyone with an interest to come and listen to how we are working to solve global problems. Higher Education is more valuable now that it has ever been in the past. Universities are becoming places with a focus and appreciation for outreach – outreach into our communities – our surrounding towns, schools, and community centres. Universities are more than lecture halls filled with students. Universities are more than Professors talking to each other and writing research papers for their peers. Universities are part of fabric of our communities and integral to the well-being of our communities. 3. Creating Knowledge: The beauty of higher education institutions is that they provide a home for the creation and dissemination of knowledge, and a kind of knowledge that can be gained from the intangible, the curious and from the process of reflection. Although funding systems have changed, the job of a tenure-track Academic is stressful, and we are busy, I still think that most academics have some freedom and a bit of time in their jobs that allow for that pure and amazing process of ‘thinking about neat stuff‘. Knowledge is dynamic, and knowledge is a product of the times we live in. Knowledge cannot be generated with cookie-cutter approaches or prescriptive top-down directives – my University still allows some flexibility and freedom to engage in the process of creating knowledge. That’s a very, very good thing. 4. Creating Friendships: I have coffee with colleagues who have become my friends. I see my Departmental administrative assistants every day – we talk about how the hockey practices went over the weekend – we talk about the local ski trails. We discuss the fun and frustrating things that happen in our lives. Students move through the system, but some become friends over time. Students who have long graduated have come back to say hello – we talk about what they are doing now, and about how their little brother is going to come to University because he has heard so many great things about the place. We discuss how they see the world after graduation, and talk of dreams and ambitions. Like any good workplace, my Department is more than faces and names – my Department is about people and about friendships. This is what happens inside the building and in the hallways of Universities. Expanding this – my University supports lives – it supports my family and the families of my friends at my workplace. 5. Creating Economies: There are strong economic arguments about the value of Universities to the economies of the region and province and country in which they operate. Students rent apartments and buy groceries, employees of McGill travel to conferences, and pay for taxis to and from the airport. We cater meetings, and drink a lot of coffee. We get business cards printed, we need to buy paper, computers and phones. Universities help make small, local businesses become successful. On a bigger scale, our research programs are catalysts for larger economies in our cities and in our province, whether they be advances in medicine or solutions to global food security. Graduates from our Universities go on to become lawyers, CEOs, and they build businesses and create opportunities for thousands. 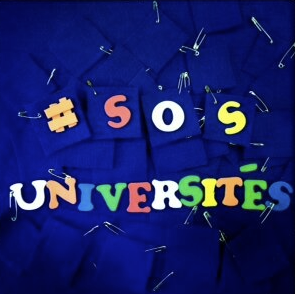 Universities support and create economies – big and small. Yes, higher education is about creating great things that are much bigger than the footprint of the buildings we work in. Higher Education has values that are far beyond the curriculum and far beyond esoteric, and intellectual pursuits. To the Parti Québécois: making rash, and ill-thought decisions about funding to Universities is a serious mistake. I urge you to step back, reflect, and move carefully with rethinking the budgets of Universities. As my Provost stated, your economic approach is an assault on higher education, and this is truly alarming. To my colleagues, my students, my friends: please speak up. Please raise your voice and be heard. Let us stand together as a community (this is starting). Let us ensure higher education remains a central part of Quebec. May we continue to create great things. There is an upcoming summit about the future of Higher Education in Quebec. I sincerely hope that part of the discussion can reflect on the bigger question about the value of Higher Education in this exceptional and incredible province. Hi Chris, I’m glad your anger is not decreasing ! In my point of view there are two potential answers : Universities should create high level thinkers and by being competitive, be the leader in innovation and creativity (competitive Universities) . The second answer might be that Universities are a sanctuary of global knowledge and accessibility to knowledge should be the priority (accessible Universities). Even if in theory, Universities can be both, competitive and accessible, it is not true in Québec (and even in most of the countries) because of the low budget. As a community, we have to choose what the role of Universities is. I was really excited about the summit because it was the perfect opportunity for citizen, academia and government to talk to each other and answer that fundamental question. But instead of a great discussion, the government choose to say to people who believe in accessibility for everyone “free education for everyone is not a possibility”, and say to people who believe in competitive Universities “we cut your budget before the end of the year”. We can talk about solutions and problems in each case and how we would change the actual system and even talk about how we can find an agreement in between, but it is not the time for those discussions. We really need to have a big discussion on the role of Universities first. The government closed the door to the two main obvious answers for me before the Summit. I think the Québec has a high proportion of highly qualified and creative thinkers. Why don’t we base our economy on this unique human resource instead of natural resource ?